Scrolling through Instagram one afternoon something caught my eye. 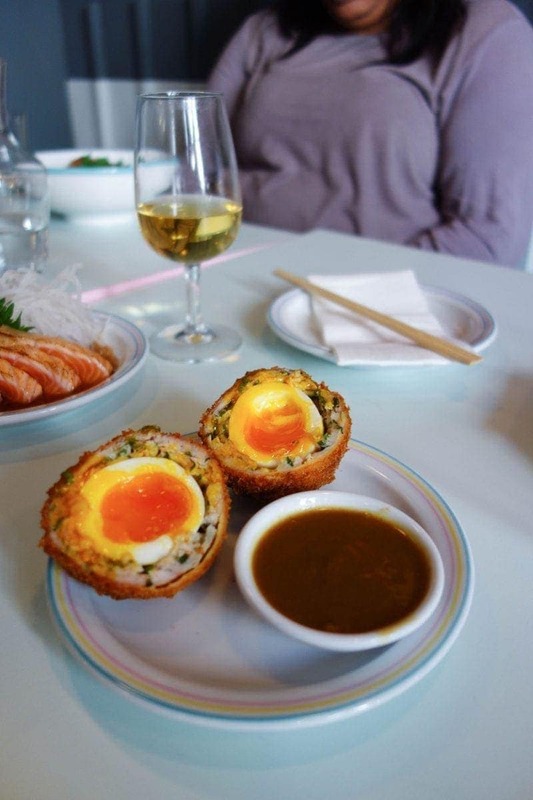 A picture of Jidori’s katsu curry scotch egg. It went straight into my saved items and plans to go commenced IMMEDIATELY … I needed it in my life! As if my prayers were answered by the gods of food, later that week I’d planned a trip to see Bat out of Hell The Musical with a friend at a theatre nearby (SO GOOD BTW!) and this seemed like the perfect time to try. To cut a long story short, we loved it and I couldn’t wait to go back so I made it the venue for the August London Food Social. 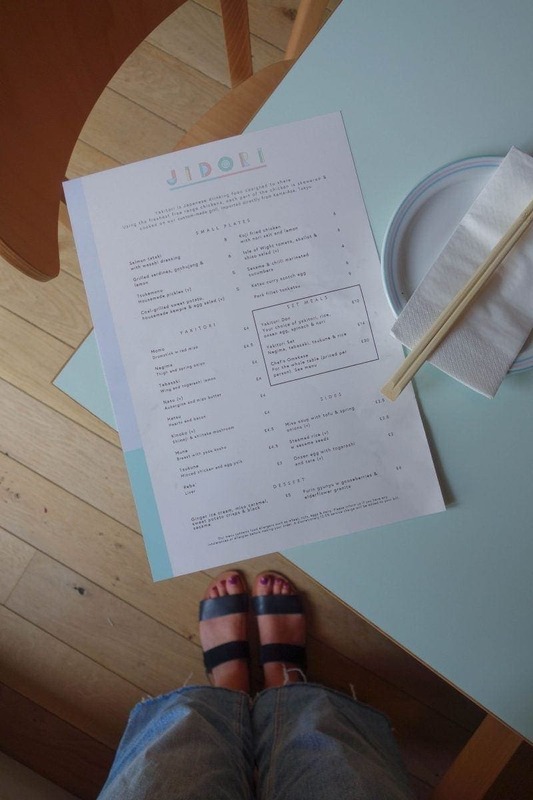 ‘Japan does tapas’ is what you can expect from Jidori. Yes, three words that scream out ‘ANOTHER place in London that’s trying to be hipster!’ but when it’s done as effortlessly as it is at Jidori, it’s not hipster, it’s just cool. The best way to ensure you have the full experience is to get 3-4 small plates per person or a load to share for the table. 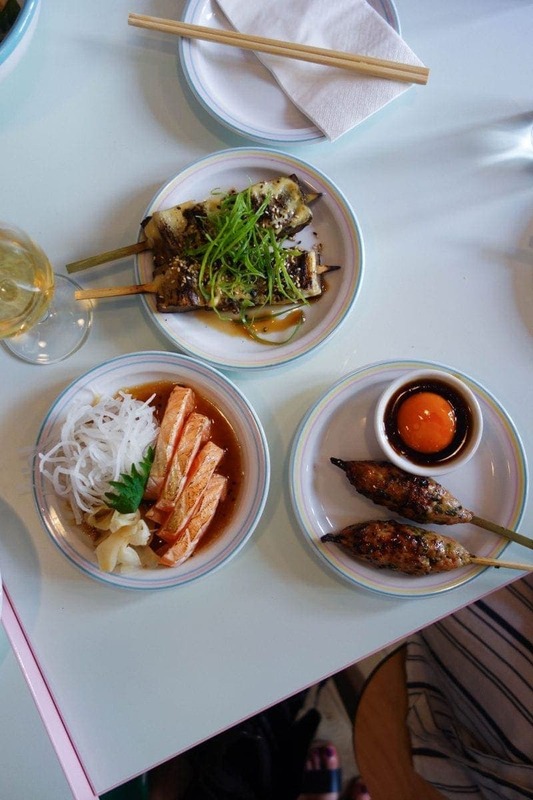 However, if sharing isn’t your thing rest assured the larger, heartier dishes are plenty for one and they even do a bargain £6 yakitori bowl for lunch. 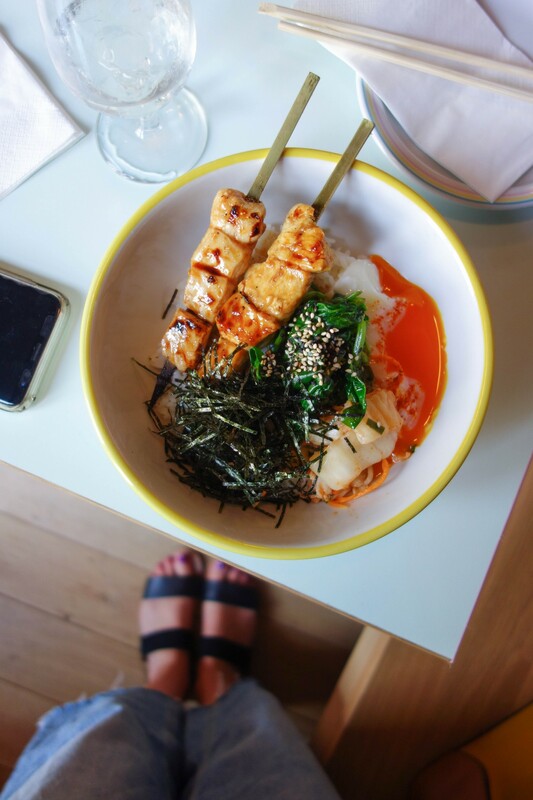 A £6 lunch in Covent Garden is as rare as me saying I hate Nutella. 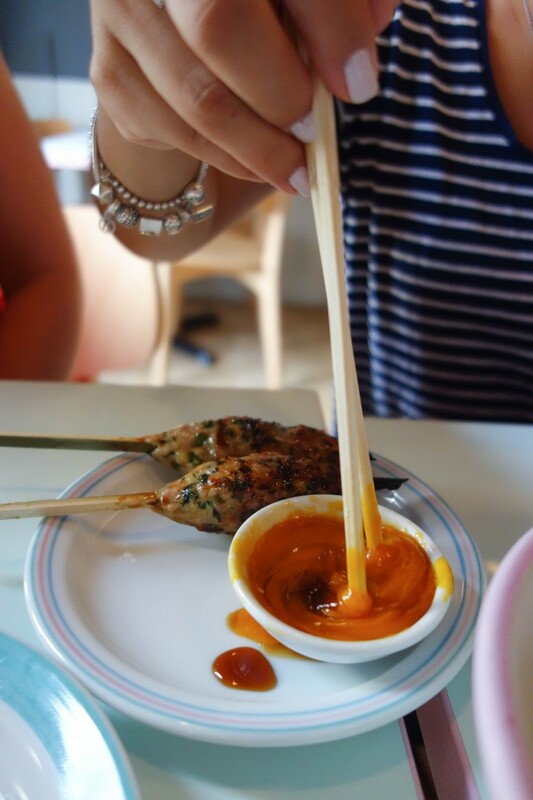 Speaking of yakitori, that’s the main focus – a skewered meat that translates into ‘grilled chicken’ and is usually eaten as a bar snack. You’ll then build that up with the rest of the meat dishes (THAT scotch egg), a fish dish (beautiful salmon tataki) and in my meat eating opinion, the veggie dishes of miso aubergine and sweet potato with kew pie mayo are the silent stars of the whole menu. I confess I only had a spoonful the pudding that one of the ladies ordered and I completely regretted it. Regretted that l didn’t order it myself. 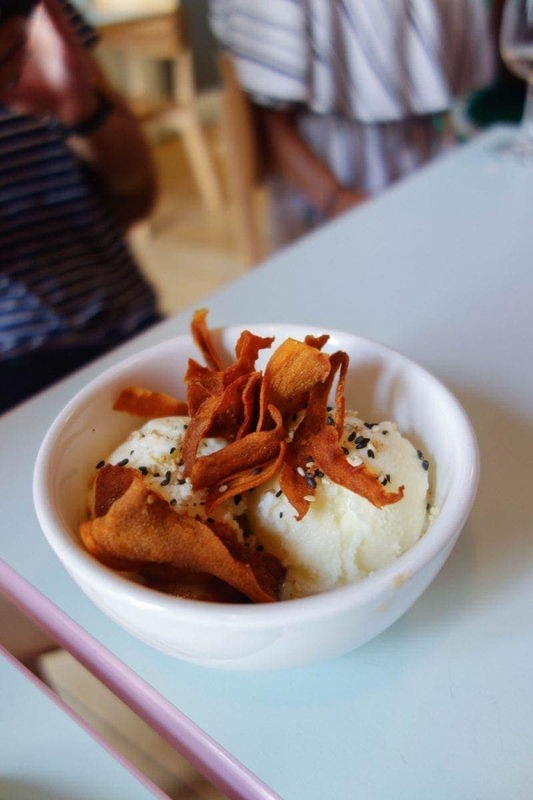 What was an immediate hit of what seemed like overpowering ginger ice cream was perfectly matched by the pool of the umami miso caramel lurking at the bottom. Blind blown. Whoever their designer is I want to know because the branding, the decor, even the little plates with their pastel rainbow edges are everything I would want of my home. Don’t get me wrong, it’s nothing fancy and actually pretty basic but it’s the same kind of effortless design that makes me green with envy when I see the style that particularly Japanese women tend to have. Effortless, minimal and simplistic. What’s not so stripped back is the big glittery curtain as you walk downstairs to the toilet. Yep, they have a karaoke room which I didn’t realise until recently is a HUGE thing in Japan. I knew I liked them. Jidori is small but mighty. You won’t leave feeling bogged down by greasy food, neither will you feel like you’ve only eaten a salad. 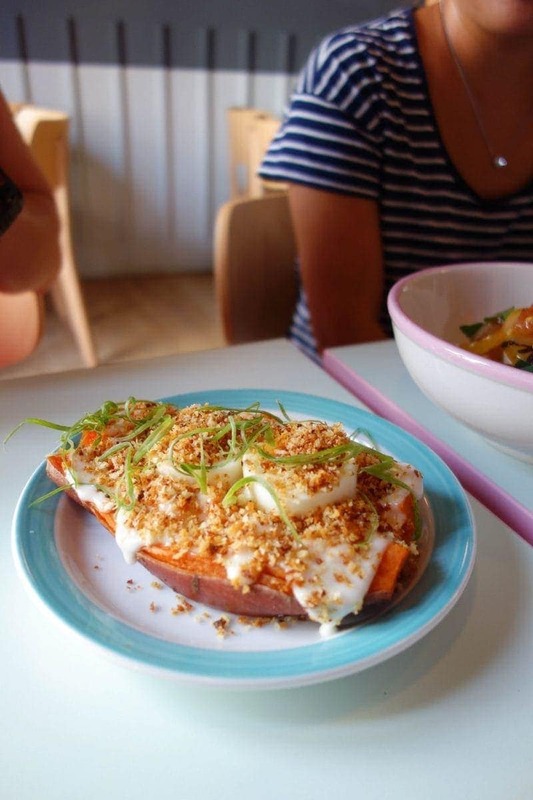 The flavours are clean but hearty and everything is just that little bit interesting. If you’ve been scared by Japanese food in the past I highly recommend you check them out as it’s so much more than what could be a lot of raw fish. Go with an open mind and loads of friends so you can try a bit of everything. 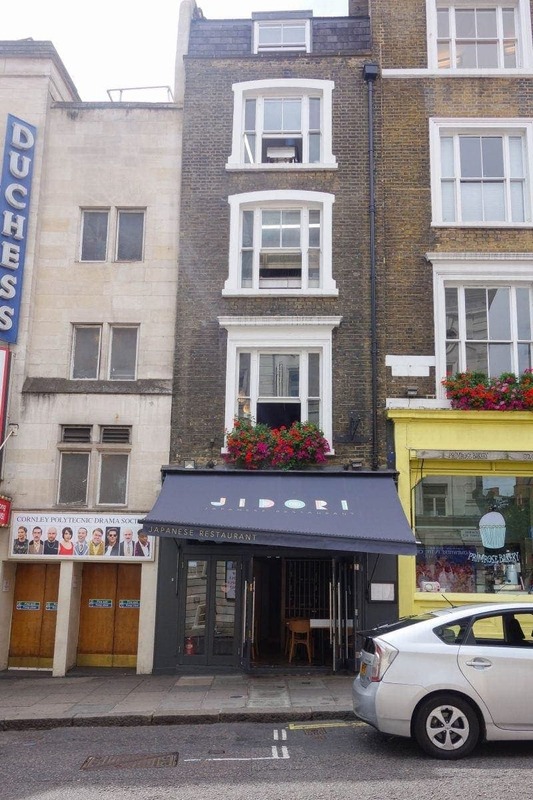 As well, they sit right in theatreland and things tend to come out fairly quickly so it would be a good pre-theatre dinner if you’re around the area. 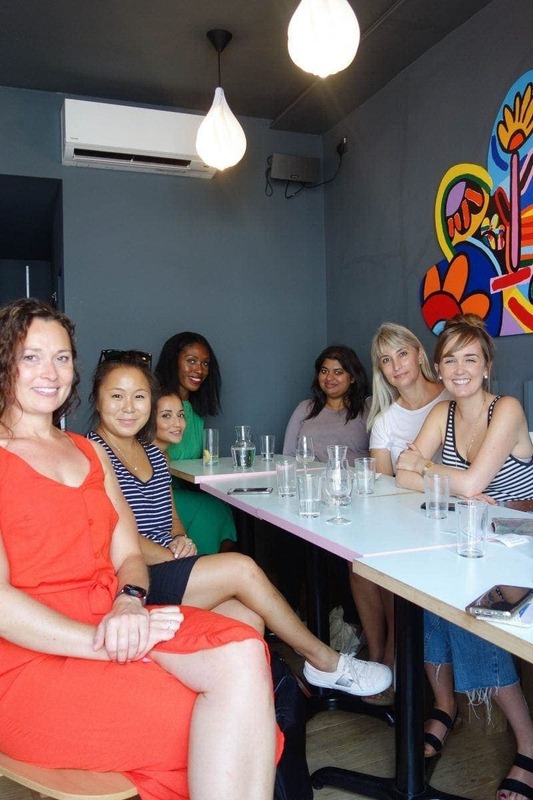 A big thank you to the lovely ladies who joined me for the August London Food Social and to Jidori for having us. 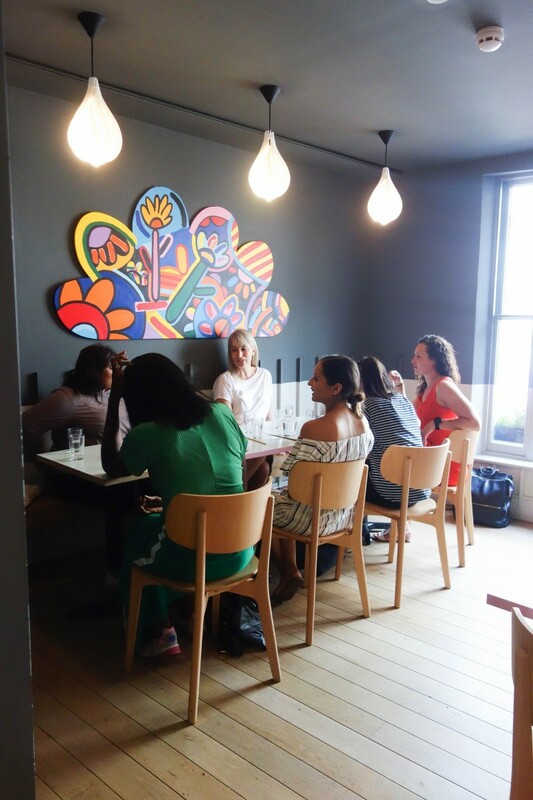 If you want to find out more about The London Food Social click here for more info. 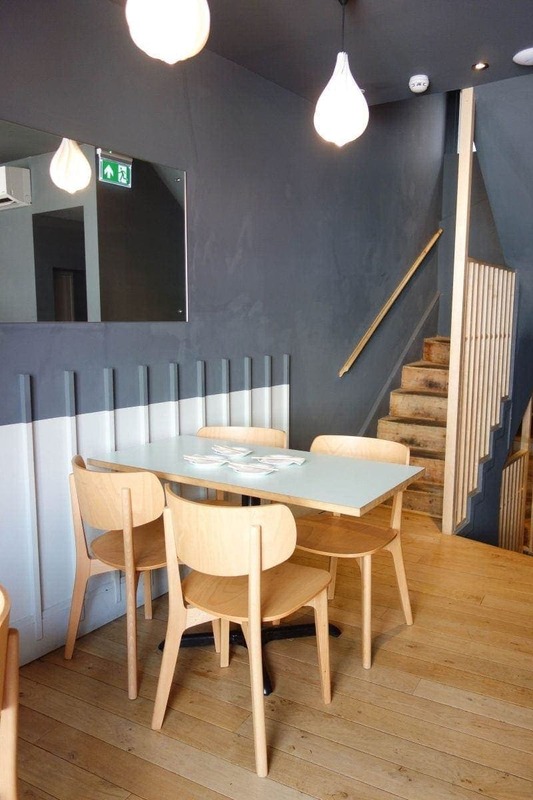 Next Post London’s First Chef-less Restaurant (Plus Competition!) – Sponsored By Gousto.